Welcome to 1001 York Trail in award winning Maple Leaf Golf & Country Club. This 2005 27'X40' Cavalier built double-wide manufactured home is located on a 5006sq ft perimeter lot. Move-in ready Sold fully furnished with golf cart. 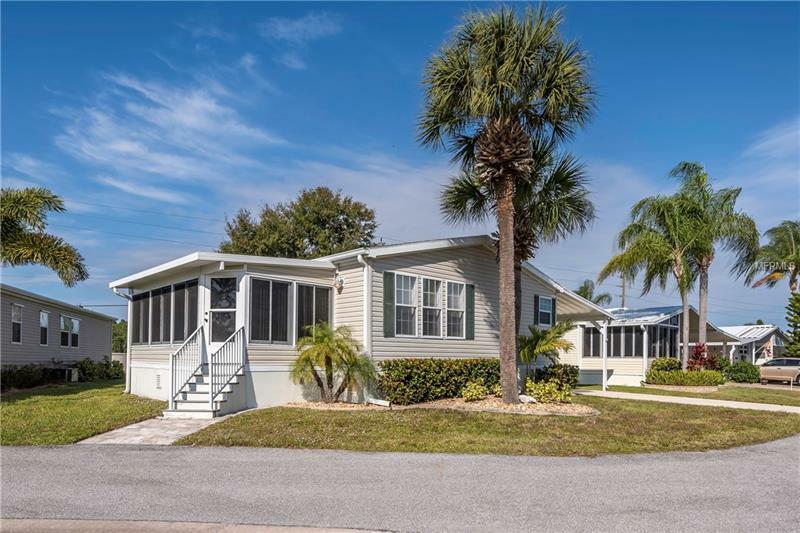 You'll love the open floor plan recently upgraded high end laminate flooring and spacious 187sq ft Florida room. Interior floor plan includes open kitchen with island/breakfast bar living room dining room master suite with en-suite bath guest bedroom with Murphy bed guest bath and interior laundry closet. Master bath features walk-in shower Guest bath has tub/shower combination. Spacious 120sq ft storage shed doubles as a golf cart garage with double doors in the rear. New roof. Home price includes $40000 membership certificate/share. Great location with open green space across the street community parkette nearby for afternoon social gatherings and quick easy access to second exit gate. Active adult lifestyle. Features a Par 62 golf course5 tennis courts bocce ball lawn bowling 2 shuffleboard court centers 4 heated swimming pools 2 hot tubs fitness facility woodworking facility 75+ clubs/activities 2 pickleball courts restaurant with full service bar and more. One dog is allowed at this perimeter lot location. Shown by appointment 24 hour gated community. In Maple Leaf it's true what they say "It's all about the lifestyle".